Cinema and theatre, built 1946-1949 by Amílcar Pinto, replacing a 1708 Saint Peter's church. Opened 19 Feb 1949 with Júlio Dantas's comedy, "Outono em Flor". 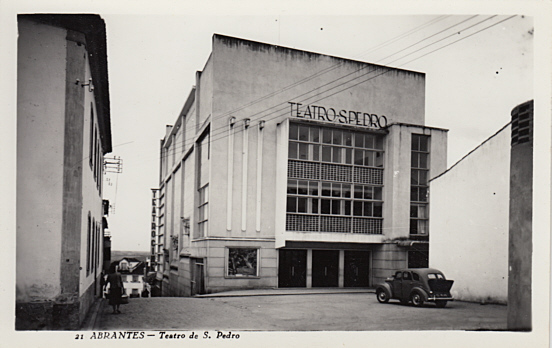 Front Text: "Abrantes - Teatro de S. Pedro", sign: "Teatro S. Pedro"